Would you like to know if you are showing alcoholic symptoms and behaviors? We have created a short list of check points to help you understand what alcoholism behavior and symptoms look like. Scan through the list and if something catches your eye read the details and see if you can identify with the point. There is no scoring here or cut off point that says if you have more than, say 5, you are an alcoholic and less you are home free. Experience shows that if more than a couple resonate with you or a loved one, you might want to take a look at drinking. Denial is one of the main components which fuels a drug or alcohol addiction, and can be one of the most destructive aspects of any addiction – not being able to recognize if and when you have an addiction is one common reason why substance use spirals out of control. If you continually use drugs and/or alcohol on a regular basis you may wish to review the following list of questions, for your own benefit please be scrupulously honest. These days, do you find that it takes more and more to get high/drunk than it used to? Are you trying to drink or use the same amount but it is having less and less effect? These are sure fire signs of tolerance. Having developed a significant tolerance to a substance is one of the first alcoholic signs and most definitive signs of drug or alcohol addiction. 2. Do You Protect And Ensure Your Supply? Are you starting to think more and more about having a constant drug or alcohol supply handy. Does the idea of running out of your substance fill you with fear? In full-blown drug addiction or alcoholism, the substance becomes the central organizing factor for person’s life. This means that eventually all their decisions, where they go, who they hang out with, are all based on the availability of their substance. This fear of running out or “protecting the supply” beginning of that movement toward drugs and alcohol being all important. Many people become involved in the restaurant industry due to the availability of alcohol. In the same fashion, many people become drug dealers not only for income went to make sure they have lines supply. Do you keep a constant drug or alcohol supply handy? (do you stock up in anticipation of running out – i.e., the liquor store may be closed for an upcoming holiday – or contact the dealer ahead of time before your supply runs out – this type of preoccupation is one of the signs of addiction. 3. Are You Using More Than Intended? Do you ever drink or use more than you intended? Is it becoming a regular pattern you to say that you only have two drinks and end up having 10? Has your ability to control your use started to weaken? Are you making up excuses to justify not sticking to your word in terms of how much you use or how often? Lack of control or not being able to control how much you use is another alcoholic symptom in behavior. 4. Do You Have Blackouts? A drug or alcohol induced blackout is one of the most scary things aout drinking or drugging. This phenomenon is simply not about failing to remember events that happened. What is happening is that events are not being imprinted on your brain at all. There is nothing there to recall. A person will never know if they are in a blackout until after the fact. Likewise, it is impossible for an observer to tell from whether a person is in a blackout not. Is not possible to predict when they will occur or how frequently they will occur. One thing we do know is that once a blackout has occurred the first time, they are more prone to happen subsequently. 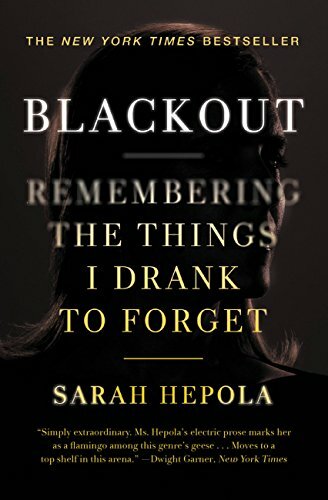 Blackouts are one of the drug and alcoholic symptoms and behaviors that indicate substance use has moved into a more chronic stage. 5. Are You Using Drugs And Alcohol To Handle Uncomfortable Emotions? Do you find yourself reaching for the drug or alcohol when you feel emotionally upset? Are you are feeling a more and more frequent need to calm yourself, or reduce anxiety of any kind more frequently? If so, this indicates an increasing emotional dependency on the substance. It is also using of the substance as replacement for dealing with emotions as we were meant to. The deeper people move into their addiction, the less capable they are handling their own emotions. In fact, alcohol and drugs become the only tool they use to handle problems (including uncomfortable emotions). The lack of ability to handle emotions severely affects the quality of relationships. Generally, a person inactive addiction does very poorly with emotions and feelings, and relationships. 6. Have You Been Drunk Or High At Inappropriate Times? Have you ever been drunk or high at work, school, special occasions, etc. and caused embarrassment to yourself or others? Have you started to become incapable of functioning in a normal, socially acceptable way? Examples of this might be being drunk at work, at your kids social functions, or when it is simply not appropriate. 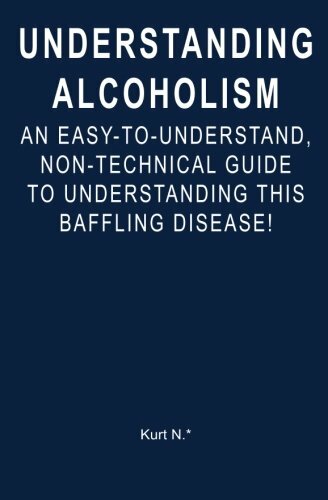 Not being able to manage the substance to the point where you have been unable to abstain in situations such as the above is an alcoholic symptoms and behavior. 7. Have you Put Yourself Or Others in Danger Because Of You r Drinking Or Drugging? Unfortunately, just about everybody was taken drink or drug has put themselves in danger one way or another. Driving while drinking or drugging is not okay. It is dangerous. Period. Never mind justifications and rationalizations, you’re putting yourself or others in danger. Have you ever disregarded your own personal safety in your choices of where your drinking or where you go to buy drugs? I know many people who have had guns thrust into their faces and been robbed. They cannot really see that that is putting themselves in a dangerous position. It’s just the “cost of doing drugs”. Getting obnoxiously drunk in a seedy, low life bar is a recipe for disaster. Many people use justification along the lines of pills is not my problem, alcohol is. So it is OK to use pills. This is a way of justifying pill use or combining pills and alcohol together. ‘Just one more” will be better? This phenomena is another example of loss of control. it is yet another sign of drug or alcohol addiction. Check out this addictive mindset – if one is good two is better, and five will certainly do the trick. The most common instructions for pain pills to take one or two as needed for pain. An addictive mindset will say “Why should I wait for the pain start” I’ll take the pills prevent the pain. But, if it gets really bad I’ll take even more. 9. Using Legality As Justification For Using. Many addicts and alcoholics justify their use because it is legal anyway. Many times, they will stand on their right to use drugs and drink as guaranteed by the legal system, as if it’s a constitutional right.one of the most frequently cited reasons marijuana users used to justify their use is that it’s legal. Interesting thing about drug or alcohol is legal is that the most “legal” drugs are the most destructive. Cigarette smoking which is legal, kills more people than drugs, alcohol, suicides, traffic accidents, and AIDS combined, yet it is legal. Alcohol has the greatest destructive effect on a person’s body and it destroys more bodily systems and any other drug, yet it is legal. Almost every heroin or opiate addicts started with pain pills, which are commonly and legally prescribed by doctors. This is just one more rationalization for addicts to keep on using. 10. Have You Used Drugs Or Had An 'Eye Opener' First Thing In the Morning? Have you ever used drugs or alcohol first thing in the morning to deal with a hangover, depression, anxiety, or just to get out of bed? This is an extremely common occurrence. But what is really going on here is that a person is taking drink or drug first thing in the morning to relieve withdrawal symptoms. Withdrawal symptoms are a sign of addiction. Simply stated, a withdrawal is anything the body goes through when the drug or alcohol is suddenly stopped. Your body is basically crying out for more. The most effective cure for withdrawal (and about the worst thing you can do) is take more of the substance created it. One of the reasons opiate users have such difficulty stopping their use the fear of dope sickness is basically opiate withdrawal. Signs of withdrawal are signs of addiction. 11. Have You Had A Trial Abstinence? A lot of people will play games with abstinence. They will set themselves a certain length of time not drink or use drugs. If they achieve it, they convince themselves they did not have problems to begin with. After all, they just proved they can quit anytime they want. 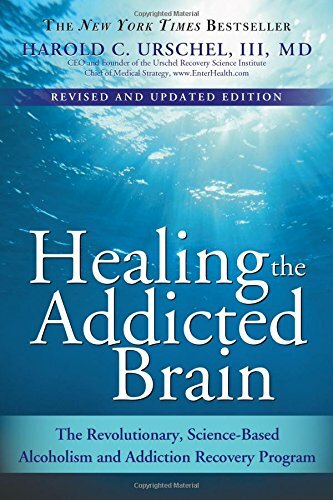 If they fail to achieve their set time of abstinence, they will rationalize and justify just about any type of excuse to make it OK.
How long did this period last before you allowed yourself to begin using the substance again – it is impossible for an addict to abstain from using the substance of choice for a long period of time, until they are ready to quit completely. Relapses will occur. Playing these starting and stopping games is a sign of addiction. People who do not have a drinking or drugging problem do not even think about playing these types of games. 12. Have Friens And Family Members Been Commenting On Your Use Of Drugs Or Alcohol? Although you have may have convinced yourself you have not crossed the line into drug addiction or alcoholism; people observing you may have different opinions. Family members are not commenting on your drug use just to create conversation. They are observing something in your behavior that has changed, and that is causing them concern. They are seeing behaviors is inconsistent with the way you used to be. Drug and alcohol use changes people and their behaviors. The first signs sliding into addiction (and relapse) are not noticeable by the person actually doing the drugs or alcohol. However, they are very evident to the people around them. Have friends or family members more than once felt the need to address your alcohol and drug use? Have you denied this in the face of their accusations, and subsequently felt angry or hostile? One of the reasons addictions are looked at as a disease of isolation is that the person will have less and less to do with family members and friends were commenting negatively on their alcohol and drug use. The addict or alcoholic, simply doesn’t want to hear it anymore. They shut people out. They become shut off and isolated, another destructive alcoholic symptom and behavior. 13. Have You Switched Your Usual Alcoholic Beverage Or Drug To Try To Control It? It is very common for people to switch their drug of choice in an effort to control it. A hard whiskey drinker might switch to beer or wine, An opiate pill user may switch to heroin. This switching and substitution becomes endless merry-go-round. The fact is that it is not a particular substance that is the problem. The problem is disease of addiction itself. The mechanisms of addiction work in the same way for different substances. The only solution for substance use addiction is complete abstinence. Switching and substitution just doesn’t work, and it never will. 14. Is Bad Stuff Happening? And finally, has your life become more and more out of control and chaotic? Examples may include run-ins with the law, misconduct or poor performance at work, poor money management/spending, troubled relationships, or accidents. Here is the kicker – get ready for it. An addict will continue to use despite knowing that bad stuff happens as a direct consequence of their use. It doesn’t stop them. Think about that. If I hold a hammer in a way that bashes my thumb, I change it. A 3 year old child burns them self on a hot stove they don’t do it again. But an addict will get burned and go back for more – multiple DUI’s, multiple arrests, fights, broken relationships. It doesn’t matter. The need to use drugs overrides logic. THAT is the power of addiction. If you have answered “yes” to ANY of these questions you may need to address the fact that you have a substance abuse issue and need to seek treatment (counseling, rehabilitation, even talking with a close friend, pastor, or relative) to deal with this problem. If you are afraid of change and/or can not see a life beyond constant misery – please do not wait to seek treatment right away.